Do you want to develop yourself in an international and dynamic company with innovative products? Do you have a passion for sales and want to grow your salary depending on your own performance? 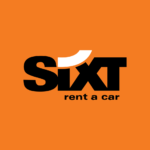 Then Sixt is the place for you. We are looking for a competent and experienced Corporate Sales Agent for the expansion of our Corporate Telesales Team in Berlin. You have a passion for Sales and do you like to make personal contact with customers?